The Ford Ranger T6 is an Australian-designed medium pick-up that’s sold in more than 160 markets around the world. Built in Thailand, the Ranger was updated in 2019 with revised suspension across the board and a new powertrain option for XLT and Wildtrak variants. 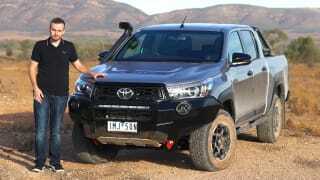 The XLS starts at $49,190 in 4x4 guise, and sits above the XL and below the XLT, Wildtrak and Raptor models. It’s available only as a 4x4 dual cab with a 3.2-litre five-cylinder turbo diesel with either a six-speed manual or auto. It comes with power windows, power mirrors, central locking, cruise control, climate control air conditioning and multimedia touch screen with Bluetooth. An optional tech pack can add sat nav and Sync 3 multimedia with Apple CarPlay and Android Auto. 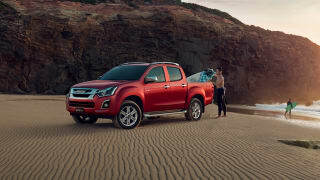 With new safety features as standard and extended service intervals, is the new D-Max finally capable of putting serious pressure on the ute market leaders?